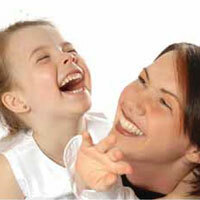 We offer Relaxing Gas/Happy Air Sedation for Nervous Adults & Children. If you are anxious about dental treatment, you are not alone. Between 6-14% of the population avoid going to the dentist because of fear. 45-55% of patients who do attend are fearful. We are very understanding about this and endeavour to make you as comfortable and relaxed as possible. We can give you oral sedation in the form of a tablet to be taken 1 hour before your appointment, you must be accompanied to and from the surgery, not work that day etc, drive, operate machinery or drink alcohol for some time afterwards. If you wish to find out more please phone us to arrange a consultation.